In addition to the numerous dental treatments and procedures performed by our Grosse Pointe dentist, in preventative, cosmetic and restorative dentistry, we also diagnose and treat a variety of other dental issues. These special treatments go beyond the most common dental procedures to help patients reduce or eliminate issues of dental pain and discomfort or other issues relating to wisdom teeth, sleep apnea and snoring, misaligned or crooked teeth, dental emergencies or a desire to use sedation dentistry. Using today’s advanced dental technology — including oral surgery — our Grosse Pointe dentists will work with you to determine whether any of these treatments are best for you. As a full-service dental practice, aims to minimize the stress, fear and uncertainty associated with surgical procedures by performing oral surgery right in our Grosse Pointe dentist’s office. Oral surgery focuses on the diagnosis and treatment of diseases and defects of the mouth and dental structures. Oral surgery can apply to any treatment or procedure performed in the mouth that involves our Grosse Pointe dentist repairing, extracting, re-aligning, removing, implanting, restoring or reducing pain resulting from issues with the teeth, gums, mouth or jaw. Learn more about Oral Surgery here. Good oral hygiene should always be practiced, since the loss of a single tooth can have major impact upon your oral health and appearance. Although our Grosse Pointe dentists will use every measure to prevent tooth loss, it is still sometimes necessary to extract a tooth. Learn more about Dental Extractions here. A root canal is a natural cavity within the center of the tooth that has a soft pulp chamber housing your tooth’s nerve. Our Grosse Pointe root canal dentists perform root canal or endodontic procedures to save teeth that are badly decayed by removing the pulp and nerves and then sealing the cleaned area. Without treatment, infection and abscesses can form on the tissues surrounding your teeth. If you have an infected tooth it can be very painful and you should seek immediate medical attention from an experienced Grosse Pointe root canal dentist. Learn more about Root Canal therapy here. Many people are afflicted with teeth grinding — also known as bruxism. While some individuals may do this throughout the day, it is a larger problem at night during sleep. Grosse Pointe dentist Dr. Jeff Jaskolski DDS knows that teeth grinding can damage enamel, wear down teeth, cause jaw pain or irritate your gums. The noise from teeth grinding can also disturb your spouse's sleep. Learn more about Nightguards here. The expert Grosse Pointe TMJ dentists can diagnose and treat patients who show symptoms for TMJ, which stands for temporal-mandibular joint. Problems with this joint may be caused by a misalignment of the teeth, oral trauma or excess muscle tension. Learn more about TMJ here. If you've been putting off dental work for years out of fear of pain, anxiety or embarrassment about the condition of your teeth, fear no more. Our Grosse Pointe sedation dentist, Jeff Jaskolski DDS is specially trained and certified in sedation dentistry by the Dental Organization for Sedation Dentistry. 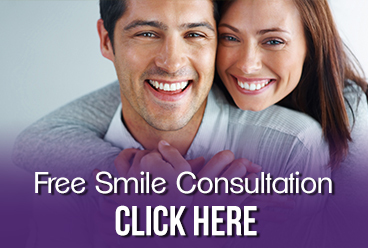 Sedation dentistry is a safe, effective option for most dental patients. Dr. Jaskolski is one of a handful of Grosse Pointe dentists that are properly trained in sedation dentistry. You can walk into the office with unsightly metal fillings, chipped, broken, stained or gapped teeth and walk out with the smile you've always wanted. Imagine simply taking a pill and having a comfortable, positive dental experience with multiple dental completed in just one or two visits. Learn more about Sedation Dentistry here. will see you immediately if you are having a dental emergency — even if you are not currently one of our patients. Whether you lose a filling, chip or break a tooth or need to relieve unbearable tooth pain, don't put off emergency dentistry treatment any longer. Learn more about Emergency Dentistry here. While healthy and properly positioned wisdom teeth can be a valuable asset to your mouth, problems may develop that require their removal. Our professional Grosse Pointe wisdom teeth dentist will work with you to determine the best course of action for your specific situation. Wisdom teeth are the last molars — also called third molars — which develop on each side of your jaw. These teeth usually emerge in the back of your mouth between the ages of 16-20. When the jaw isn't large enough to accommodate your wisdom teeth, they can become impacted (unable to come in or misaligned). Wisdom teeth may grow sideways, emerge only part way through the gum or remain trapped beneath the gum and bone. Learn more about Wisdom Teeth here. The overall cost of repairing a tooth well exceeds the minor cost of a properly fitted mouthguard. Our Grosse Pointe mouthguard dentists can ensure proper fit and function of your child’s mouthguard to help prevent costly and debilitating oral or facial injuries during sports participation. Learn more about Sports Dentistry and Mouthguards here. Conveniently located on the Northeast side of Metro Grosse Pointe, we provide additional dental services to Grosse Pointe, Warren, Roseville, St. Clair Shores and all other nearby areas. Contact our office or call us directly at 313.882.4970.